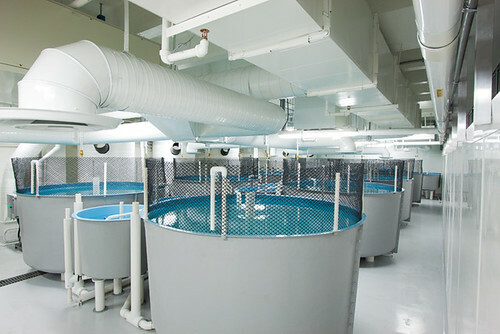 SWM Systems™ from IAS are pre-engineered, automated, on-demand saltwater mixing and makeup water supply systems for life support systems (LSS) and aquatic lab facilities. 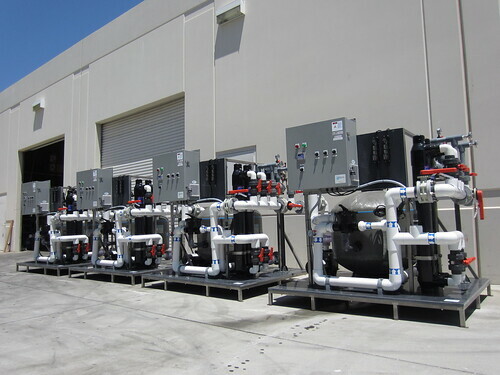 SWM Systems™ supply premixed synthetic seawater to tanks on-demand and require a fraction of the labor that is typically required for this regular operation. 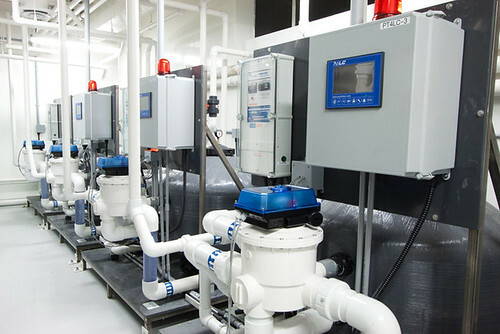 RO Water is stored for freshwater makeup and an automatic seawater makeup systems provides premixed saltwater following user specified parameters to any location. 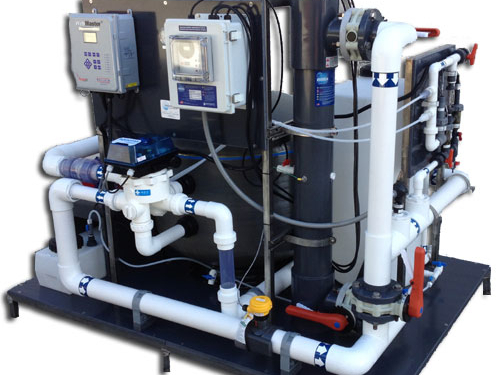 Systems come standard with a commercial reverse osmosis system, including an integrated monitoring panel which has TDS monitoring and product water flowmeters. (Maximum TDS of 2,500 ppm on RO input feed). 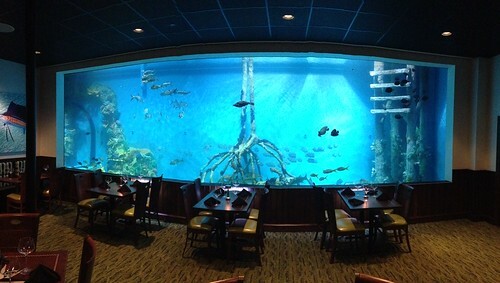 Water mixing and reservoir tanks are sized appropriately for the application. 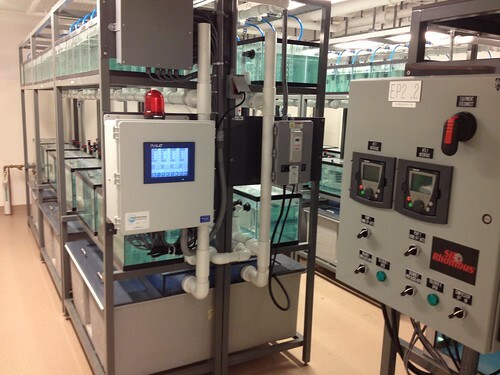 Real time salinity monitoring and control system provides the required seawater strength for any application 0-40ppt. 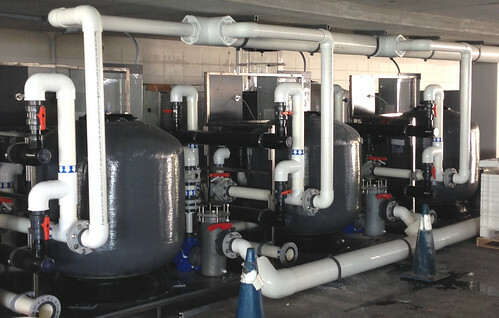 Distribution Supply Pumps come with Low Level Shutdown and are sized custom for each application. 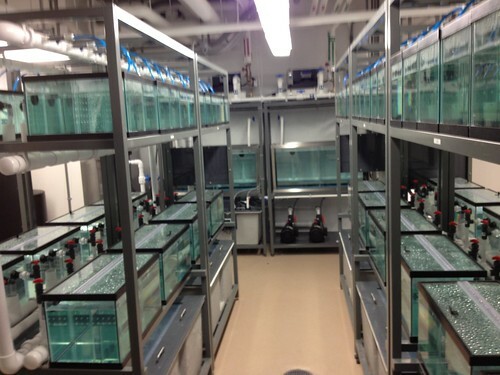 Systems are equipped with aeration to keep makeup water oxygenated. 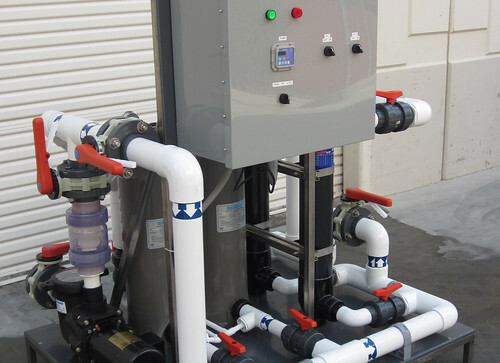 Systems are modular, skid-mounted and pre-assembled for easy installation with only minor plumbing and electrical connections. 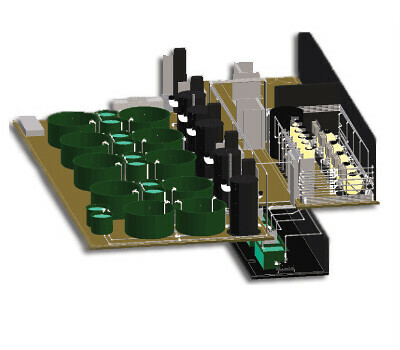 Systems are designed and built to order, including a 3D CAD drawing to insure compatibility with existing site plans. 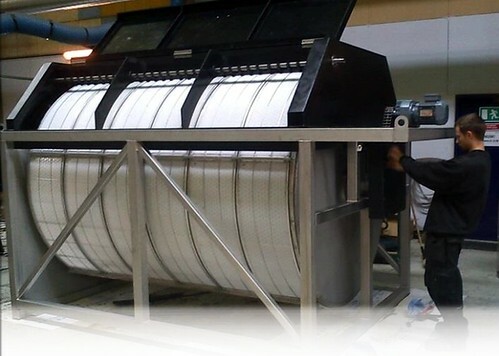 Tested & Documented Prior to Shipment – Strict testing guidelines that include water testing, electrical testing and documentation prior to shipment insure that every system operates to its design specification. System specific User’s Manual included.